The accused include Bajrang Dal leader Yogesh Raj, BJP leader Shikhar Aggarwal and VHP leader Upendra Raghav. 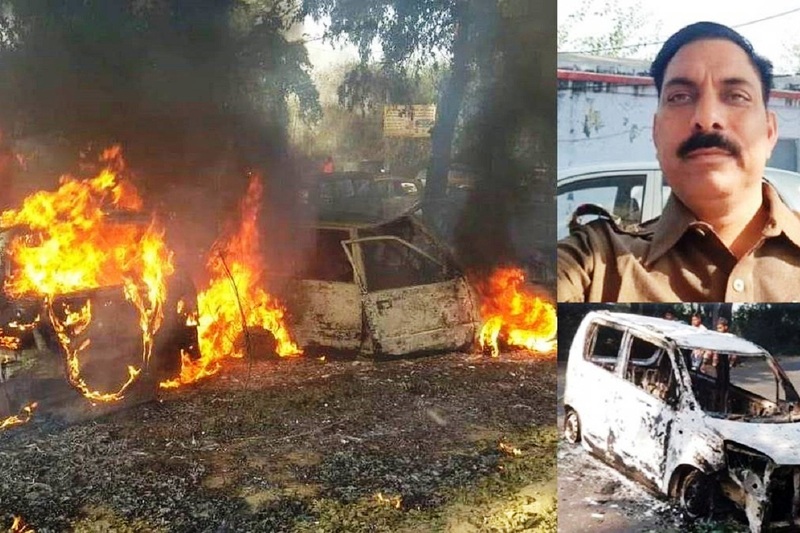 A Special Investigation Team (SIT) of the Uttar Pradesh Police has filed a chargesheet in the case related to the violence that took place on December 3 last year in Bulandshahr in which inspector Subodh Kumar Singh was shot dead. The chargesheet has names of 38 people, out of which five have been charged with the murder of inspector Singh while the rest have been charged for attempt to murder, inciting violence, arson, and damaging public property. The accused include Bajrang Dal leader Yogesh Raj, BJP leader Shikhar Aggarwal and VHP leader Upendra Raghav. 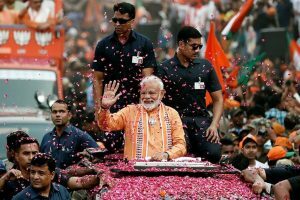 The SIT submitted a 103-page chargesheet in the court of Chief Judicial Magistrate in Bulandshahr on Saturday. The court is expected to take note of the chargesheet on Monday. SP (City) Bulandshahr Atul Kumar Srivastav told that Prashat Natt, Rahul, David, Johny, and Lokendra were found guilty of killing inspector Subodh Kumar Singh of Syana police station during the violence. Srivastav said that the investigation is still on and teams are in the process of identifying those who were involved in the violence. Non-bailable warrants have been issued against five others who are still absconding. Large scale violence broke out near Chingrawthi police post in Syana area of district Bulandshahar over the rumours of cow slaughter. An angry mob of villagers had gathered in village Mahav. During the melee, Subodh Kumar Singh was killed when he tried to control the situation while a local, Sumit Choudhary (19), was also killed after being hit by a bullet in the chest. The protestors also set Chingrawthi police post on fire and damaged many vehicles. Later, a case was registered in this regard after which a SIT was constituted by the UP government to investigate the case. The SIT, headed by IG of Meerut range Ramkumar, identified 45 persons through video clips and collecting inputs from other sources. An FIR against 27 named people and 50 to 60 unidentified people was also registered at the Syana police station.